School or camp physicals? We can do them! We care for adults over age 16 and can frequently get your son or daughter in for an appointment even on short notice. Just give us a call to set up an appointment 303-666-7560. Immunizations –yes, we have them. We carry Tetanus, Diphtheria and Pertussis vaccine, Hepatitis A and B vaccine, Flu vaccine, HPV vaccine, Pneumococcal vaccine, Zostavax (shingles vaccine), Measles, Mumps and Rubella vaccine, Meningococcal vaccine, and Varicella (chicken pox vaccine). We would be happy to immunize you against any one or more of these potentially dangerous illnesses. Our Medical Assistants can help you decide which vaccines you need, when you need them and can also schedule an appointment for you if you need to receive a vaccine. Flu Shot Season! Our flu shots are here. We have flu shots and can give them to you in our office. Please call us at 303-666-7560 to make an appointment for your flu shot. Almost all insurance plans cover flu shots. Next M.D. is a free secure portal through which you can connect with your healthcare providers in a convenient, safe environment. You must be registered to access the NextMD Web Portal. Click Here for more details or Login or Call our office for instructions on how to register for this free service. Did you know? 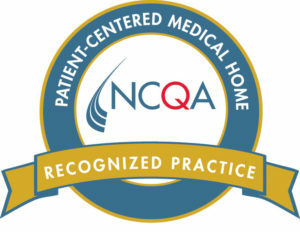 Flatiron Internal Medicine has been recognized for patient care quality by NCQA? NCQA is the national committee on Quality Assurance in Washington, D.C. Flatiron Internal Medicine has been awarded this NCQA recognition, as a Patient Centered Medical Home in 2009, 2012, and 2015, each award lasting for 3 years. This means that our quality related systems to improve patient care have received national distinction.